OKLAHOMA CITY – Damian Rodriguez is willing to give potential employees a chance that other employers might not offer: a path to recovery. 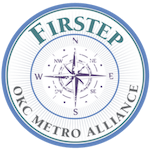 The president and chief operating officer at CDR Global hires people from Firstep, a residential recovery program run by the OKC Metro Alliance. He said he knows how important it is to have steady work when recovering from alcohol or drugs. He’s been sober for 26 years. He attends an Alcoholics Anonymous meeting every day, and takes workers from Firstep to a meeting every day at lunch.